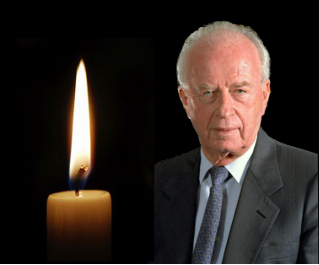 Honor Rabin's Legacy – Don't Let the Zealots Win! Like all Israelis of my generation, I will never forget the night of Nov. 4, 1995. I was crying, and I heard Saeb’s voice cracking as well. I had known Saeb for many years, since he was the editorial writer of al-Quds, the popular Palestinian daily, and used to brief Israeli reporters on Palestinian politics while smoking on the steps of al-Quds’ East Jerusalem office. Over the years, we laughed a lot together. I never imagined us crying together. 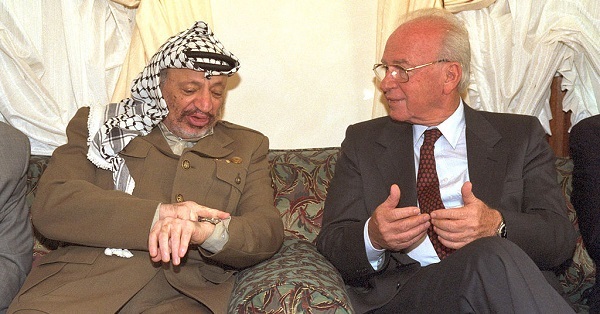 We cried because of the shock, but also because we realized that this was seminal moment, that the bullets that killed Rabin were aimed at peace, and that they may very well kill prospects for peace. Crying together was an expression of the bond, the partnership, between pro-peace Israelis and Palestinians. At that moment — and actually ever since — Israelis and Palestinians who support a two-state peace deal have been crying together, lamenting the ever-increasing strength of the enemies of peace, the zealots on both sides. Don’t let the zealots win! Click here to support the peace-makers. Rabin’s assassin, Yigal Amir, became one of the most successful assassins in history. He killed so much more than the person he had targeted. Months after he pulled the trigger, a right-wing government took power, headed by Benjamin Netanyahu, who has since been working hard to thwart Rabin’s legacy and hinder efforts to resolve Israel’s conflict with the Palestinians. There is a sharp debate in Israel over Rabin’s legacy. In retrospect, it is safe to say that Rabin left behind a country torn between two conflicting worldviews, and therefore two conflicting visions. Click here to support our vision, Rabin’s vision, of a progressive, peace-seeking Israel. On one side of this battle of visions, there is an extremist Israel, an Israel that is characterized by a combination of jingoistic nationalism and religious conservatism, by ethnocentrism and xenophobia, by intolerance of dissent and disrespect for basic democratic principles. Members of this camp, including Prime Minister Netanyahu, have been significantly emboldened by the recent successes of ultra-nationalists worldwide, and have been particularly inspired by Donald Trump’s presidential victory here in the United States. Many in this camp in Israel are motivated by a messianic vision, which hinges on the redemption of the West Bank, and the establishment of a Greater Israel that is biblically defined both by borders and by Halakhic law. When Trump won the presidency, some in this camp depicted his victory as a “miracle” prompted by divine intervention. 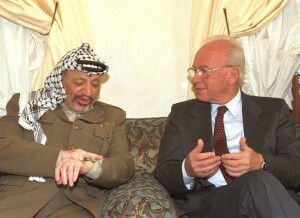 On the other side, there are Israelis who, both despite and because of the ever-intensifying violence and tension with the Palestinians, realize that long-lasting security will best be achieved through peace agreements, and that a peace agreement with the Palestinians is vital for Israel if it is to maintain its character as a democracy and a Jewish state. This Israel sanctifies life over land, puts peace and security before settlements, cares deeply about its relations with the United States and other international allies, and yearns for Israel to be a deservedly proud and respectable member of the family of nations. This is the Israel that our colleagues at Israel’s Peace Now movement are trying to create. This is the vision for Israel that we at Americans for Peace Now are striving to advance. This is Rabin’s Israel. You have a legitimate voice and a vital role to play in this battle over Israel’s soul, its character, its future. You can make an impact. If you care about Israel and cherish Rabin’s legacy, please support us. Don’t let the zealots win! P.S. If you're donating $108 or more and would like to receive the award-wining book Killing a King, which tells the story of the assassination and the incitement by right-wing zealots that led to Rabin’s murder, please write "Rabin" in the comments section. All but $15 of your donation will be tax deductible. There is a long way which is short and a short way which is long. What do you want 2015 to look like? Help us SPREAD THE LIGHT and receive "Killing a King"
You can't help but wonder. "8 million prime ministers, 8 million prophets, 8 million messiahs..."